Lincoln, UK, 17th May 2016 – RealWire, the award-winning online press release distribution service announces the appointment of Emily Gosling (formerly Aitchison) as Managing Director. Gosling, has been part of the RealWire team for over nine years, joining in 2007. 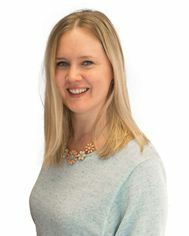 She started at the company within the operations team and progressed to take on management roles within the client services and business development sides of the business. As part of this change in management, current Chief executive Adam Parker is stepping into a non executive role as Chairman. Stepping back from his executive role will enable Parker to focus on the commercial opportunities for the Lissted influencer application. The application has been incubated by RealWire over the last few years and was demerged last month into its own company, Lissted Limited. RealWire is an award-winning online press release distribution service with over 15 years of experience, and is first choice for many of the UK’s top agency, freelance and in-house PR professionals. RealWire’s service can increase your story’s coverage and improve your online visibility. The UK’s leading innovator in press release distribution, RealWire introduced the Social Media News Release in 2007 and relevance targeting system PRFilter in 2010. Lissted takes a unique superhuman approach to influencer identification and online listening. Lissted discovers the truly influential voices in a community and the content, conversations and websites that matter to them. “..one of the best ways to find out what are the key things happening on Twitter (and events in the world) at any given moment.” Alex Hudson, Metro’s Deputy Editor.